The long term lack of investment at the two Coral tracks had inevitably led to endemic gloom and despondency among owners and trainers writes Floyd Amphlett. So the opening of the first section of the revamped Hove restaurant created as much interest as the final of the track’s first new Cat One competition. While most attention, and £££s have been spent at Romford in the last year, Hove regulars had something to cheer about with the opening of the first stage of the revamped Hove restaurant. The first 220 covers were booked out weeks ago and the compliments were flowing thick and fast on Thursday night. Heading the project is the new GM, since August, Brian Murphy. He said: “We had so many compliments on the night, it has been very encouraging. We had to turn people away and all Saturday nights are booked out for the forthcoming weeks. When fully functioning, the restaurant will be back to between 600-620 covers and Murphy is hoping that new owners will play a major role in filling those seats – a quarter of the facility has been set aside exclusively for owners. Brian said: “Our new owners package, launched in January at all four (of the (Ladbrokes/Coral) tracks has been very popular, as have been the owners evenings when we’ve put on a buffet, extra prize money, and had 150 people attend. 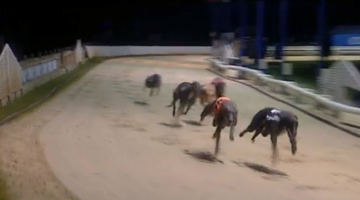 Droopys Gold produced the outstanding performance on the Winter Derby supporting card. Seamus Cahill’s blue clocked 29.76 (-20) in a 515m supporting open, the fastest time over course and distance this year. To put the run into greater perspective, King Turbo’s fastest time in 2018 was 29.52 (N). 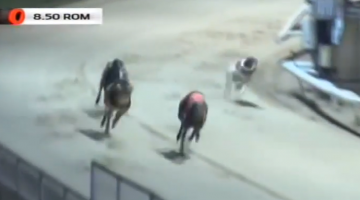 Sporting Dave’s second place and and Droopys Gold’s impressive win saw Seamus Cahill move into second place in the Trainers Championship table.